An individual retirement account (IRA) is a special savings account that offers tax benefits to help you save for retirement. The catch is that in most cases, you can’t touch the funds in your IRA until the age of 59.5, or you’ll be subjected to tax penalties. 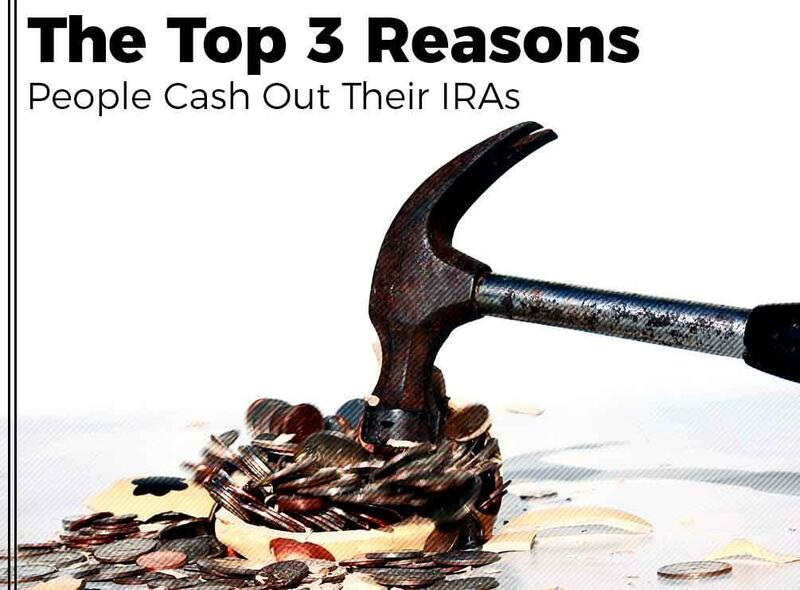 Nevertheless, some people are still tempted to cash out their IRA prematurely. In today’s post, AOG Wealth Management, your local investment management company, shares the three leading reasons why people do this. This is probably the most common reason people withdraw funds from their IRA prematurely. People facing a large debt may be tempted to cash out their IRA to clear the debt. While this might seem like a good short-term solution, you’ll be penalized in the long run. In fact, withdrawing early might cause you to lose 33% or more from your IRA. Need some quick cash? Some people don’t have time to wait for approval on a loan, so they turn to their IRA. As your local wealth management advisor, we don’t recommend this as the penalties are severe and will put you at a disadvantage in terms of meeting your retirement savings needs. Whether you’re purchasing a new home or launching a business, you may be considering withdrawing from your IRA to finance your investment. While we generally don’t recommend this, the IRS does waive 10% of the early withdrawal penalty if it’s your first time buying a home. There are some restrictions though; you can only withdraw up to $10,000 without paying the standard 10% penalty. Additionally, the house you’re purchasing must be your principal residence and you have to buy the house within 120 days of making the withdrawal. For wealth management services and advice, turn to AOG Wealth Management. Call us at (866) 993-0203. We offer our services throughout Northern VA, including Ashburn, VA, as well as Washington, DC.